#IslesRoadWarriors , who's in Pittsburgh tonight? 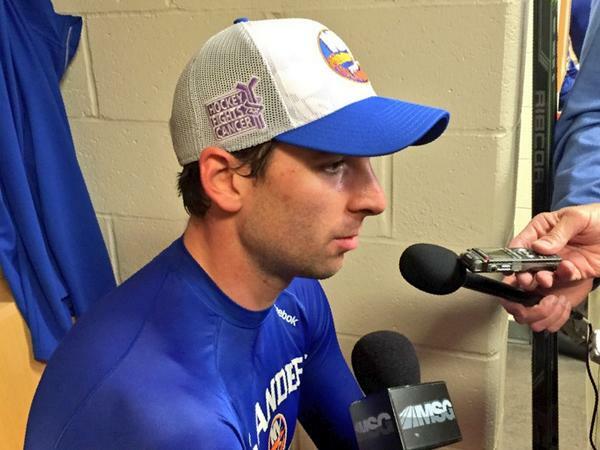 Tweet a picture representing the Orange & Blue and you might win an #Isles prize pack! The #Isles look to improve to 5-0-0 for the first time in franchise history. Puck drop against the #Pens is minutes away! #Isles GOAL! @thomas_hickey14 puts the Islanders ahead 1-0 5:46 into the first period. Great pinch! .Congrats to @nicolecomple on winning an #Isles Prize Pack! 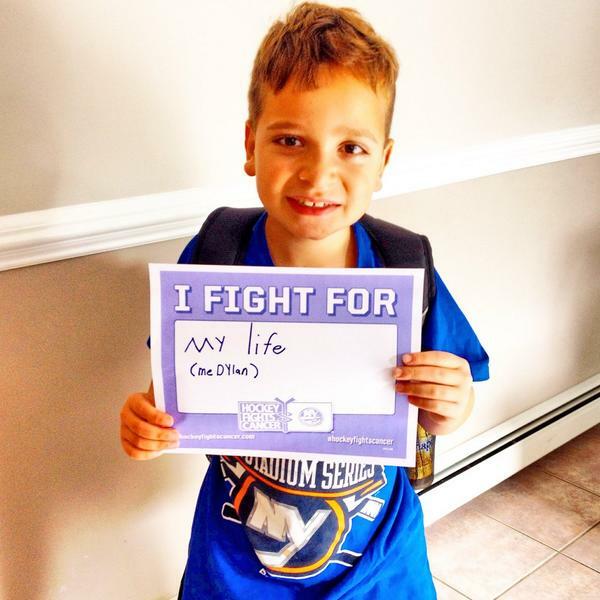 Thank you for be a member of the #IslesRoadWarriors ! 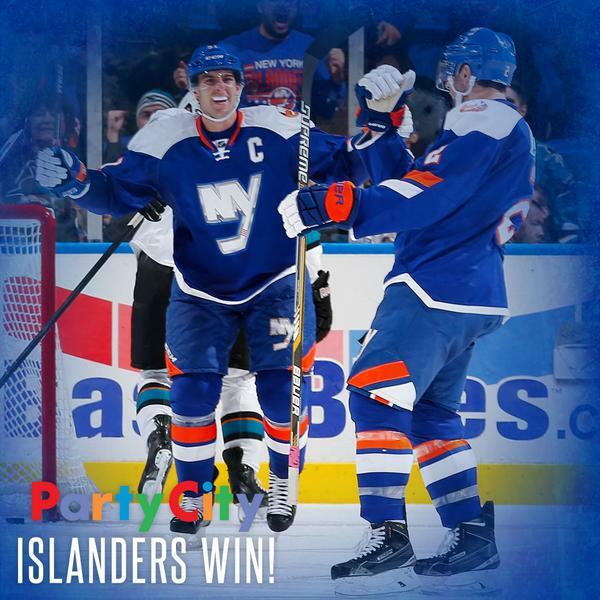 Sidney Crosby hooks Casey Cizikas and the #Isles are heading back to the PP. 0-for-2 tonight. Crosby goes free and the teams are back to even strength. 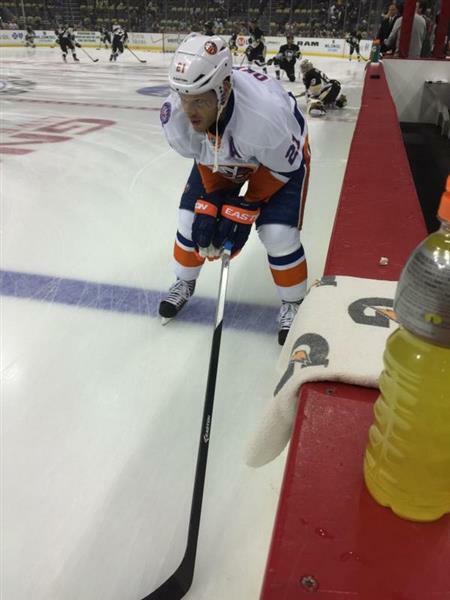 #Isles lead #Pens 1-0 with 8:13 to play in the second period. In case you missed last week's @E60 piece on #Isles defenseman Travis Hamonic, set your DVR for ESPN2 at 2:00 a.m. on Tuesday. It's time for an #IslesFindersKeepers ! 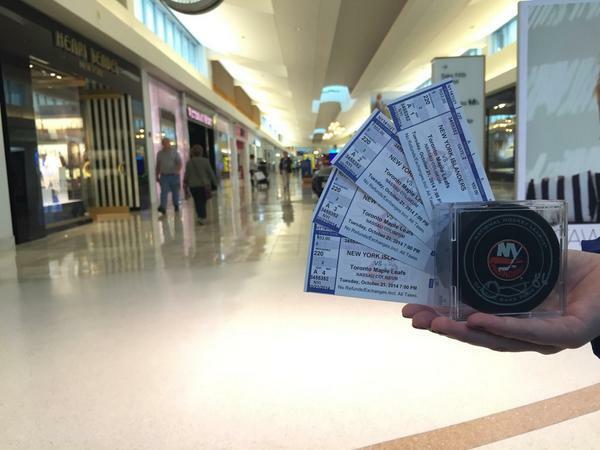 Get ready for a chance to win 4 tix to tonight's #Isles game and a Nikolay Kulemin signed puck! #ISLES TRANSACTION: Colin McDonald has been placed on waivers. Thoughts and prayer goes out to all those involved in the tragic events this morning in Ottawa.